Oscar Ghiglia is a prominent Italian classical guitarist and academic. He was born in 1938 in the family of famed artists. His grandfather and father were celebrated painters and his mother was a gifted pianist. Oscar Ghilia shares his exceptional talent and skills with audiences and students all over the world. As a guitar virtuoso, he has given concerts on almost all continents – in Europe, all parts of North and South America, in Asia and Australia. Besides his solo career, Oscar Ghiglia has collaborated with such artists as Victoria de Los Angeles, Jan DeGaetani, Gerald English, John McCollum, Jean-Pierre Rampal, Julius Baker, Giuliano Carmignola, Regis Pasquier, Eliot Fisk, Shin-Ichi Fukuda, Loretta Guerra and Elena Papandreou. He also played in numerous ensembles, among them the Juilliard String Quartet, the Emerson String Quartet, the Quartetto d’archi di Venezia and the Tokyo String Quartet. Despite such a succesful performing career, he dedicated himself to the teaching of music as well. He has given countless guitar master-classes throughout the world. As an artist in residence or visiting professor, Oscar Ghiglia taught students at such educational institutions as the Juilliard School, the Hartt School or the Cincinnati and San Francisco conservatories. He has held professorships at Siena's Accademia Chigiana, the Musik-Akademie der Stadt Basel and the University of Makedonia in Thessaloniki. He founded the International Guitar Competition of Gargnano (Italy) and the Guitar Department at the Aspen Music Festival. It is said that most of today’s acclaimed guitarists have attended Oscar Ghiglia’s classes at some point of their musical education. As a young boy, Oscar Ghiglia had to choose which artistic path he should follow. Though, his first choice was painting, he soon changed his mind due to one event. His father asked him to pose for a painting of a gitarist. The touch of father’s guitar in Oscar Ghiglia’s hands was the beginning of his remarkable music career full of discipline, dedication and passion. He decided to study classical guitar at the Santa Cecilia Conservatory in Rome at the age of fourteen and gradueted the conservatory with honours. He studied with Spanish guitar virtuoso Andrés Segovia, who had major influence on Ghiglia’s playing during his early years, and with Venezuelan master Alirio Díaz. After the graduation he won many significant awards such as 1st Prize at the Orense Guitar Competition, 1st Prize at the Santiago de Compostela Guitar Competition and 1st Prize at the International Guitar Competition of Radio France (ORTF) as Unanimous Winner. He soon became one of the most appreciated classical guitarists. His latest recordings include albums Manuel Ponce’ Guitar Music and J.S. Bach Lute Works. 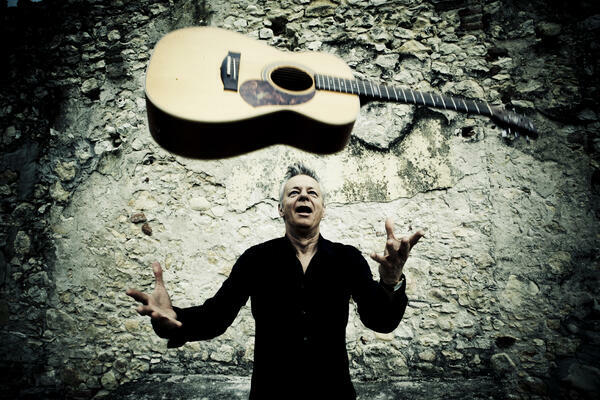 Tommy Emmanuel, born in 1955 in Australia, is believed to be one of the best acoustic guitarists in the world. Due to his outstanding playing skills and vivacious performances, he is loved by all of those, who have seen him on stage. He was nominated for Grammy Awards two times, he won two ARIA Awards from the Australian Recording Industry Association and was repeatedly awarded by such music magazines as Acoustic Guitar Magazine, Guitar Player Magazine and Rolling Stone. The artist is known for collaboration with many renowned musicians including his mentour Chet Atkins, Buddy Williams, John Denver, Doc Watson, Eric Clapton and Stevie Wonder. In his playing he incorporates many different genres and styles, among them blues, jazz, folk, classical music, bluegrass and rock. Tommy Emmanuel’s unique technique is a combination of fingerstyle and slapping, which allows the musician to create an impression during a concert that there is a whole band performing on the stage. He has an exceptionally good contact with an audience, which turns each of his performances into a truely unforgettable musical event. During his impressive career lasting for nearly 40 years, he released over 20 albums, 6 concert DVDs and instructional videos, which are highly appreciated by guitarists worldwide. In June 2010, he was appointed a Member of the Order of Australia, as the recognition of his contribution to Australian culture development. Tommy Emmanuel received his first guitar at the age of four. By the age of six he had already been working as a professional musician in a family band, the Emmanuel Quartet. He began his career as a session musician with various bands, among them Air Supply, Dragon and Man at Work. Only later did he develop a solo career. In spite of his sophisticated musical technique, he has never received a formal musical education. Berta Rojas, born in 1966 in Paraguay, is an acclaimed classical guitarist, known for her exquisite technique and exceptional musicality. She has been internationally appreciated not only by audiences, but also by music industry and critics. She has received three nominations for Latin Grammy Awards. Washington Post called Berta Rojas a “guitarist extraordinaire”, while Classical Guitar Magazine acknowledged her as “Ambassador of the classical guitar”. The artist has performed at such important stages as the National Concert Hall in Dublin, the Frederick P. Rose Hall of Jazz at Lincoln Center in New York, Kennedy Center in Washington D.C., London’s South Bank Centre and the Weill Recital Hall of Carnegie Hall. Berta Rojas has performed as a solo recitalist, in duets and as a soloist with orchestras. As the duo with Carlos Barbosa-Lima, the guitarist recorded albums Alma y Corazón (2007) and well-known Intimate Barrios (2008). With a Cuban saxophonist and a mulitple-time Grammy Award winner Paquito D’Rivera, Rojas has visited twenty countries in the Americas during the“In the Footsteps of Mangoré” tour. Rojas and D’Rivera recorded together the Grammy nominated album Día y Medio (2012). The artist engages herself in propagating Paraguayan and Latin American music. She is also involved in promoting and supporting young, upcoming artists. 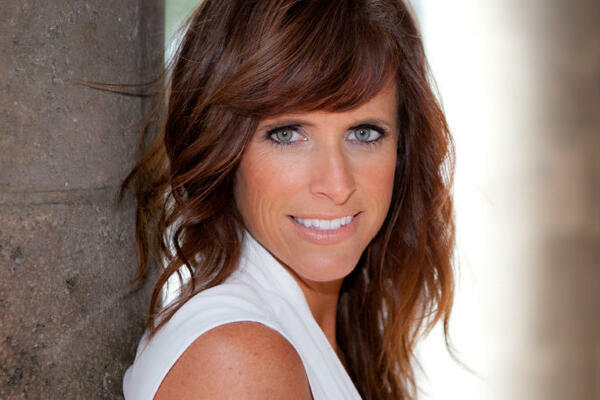 She has given numerous master classes in many different countries. 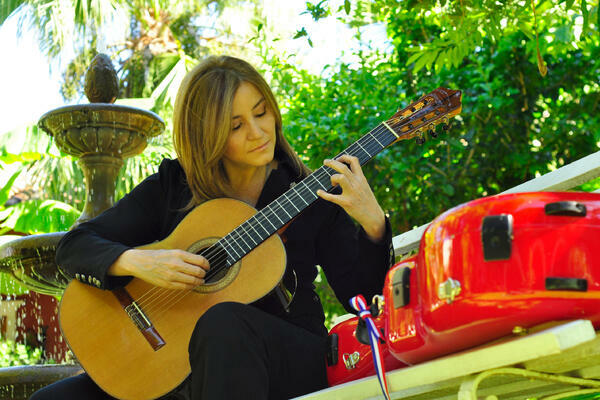 In 2009, she created the Barrios World Wide Web Competition, which is the first online classical guitar competition. Furthermore, she co-founded the Beatty Music Scholarship Competition for Classical Guitar for youth. In 1996, the artist was honored as a Fellow of the Americas by the Kennedy Center for the Performing Arts for her artistic excellence. The news agency EFE announced her in 2014 „one of the most influential women in the Hispanic world”. Berta Rojas began her music education in classical guitar at the age of ten under Felipe Sosa and Violeta de Mestral. Then, she moved from her native Paraguay to Uruguay to study under Abel Carlevaro. She graduated from the Escuela Universitaria de Música, where she obtained a Bachelor of Music degree as a student of Eduardo Fernández. After receiving a scholarship, she continued to study at the Peabody Institute under Manuel Barrueco. In 2000, Berta Rojas received her Graduate Performance Diploma. Nowadays, she is perceived as a one of the best classical guitarists due to her perfect technique and outstanding interpretational skills. 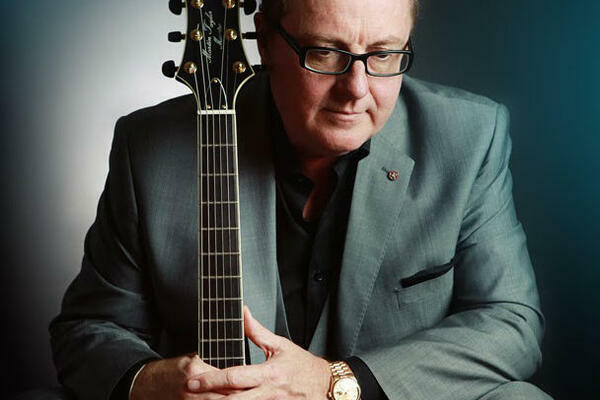 Martin Taylor is a Grammy nominated British guitar virtuoso and composer. 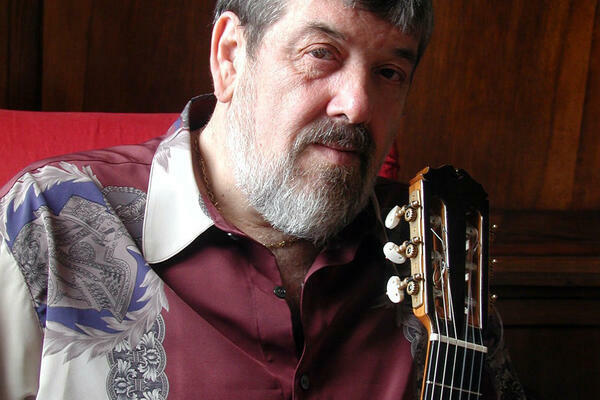 He is seen as one of the best solo jazz and fingerstyle guitarists. His unique and highly recognisable style of playing the guitar is an object of admiration among critics, fans as well as other musicians. Taylor’s performances, combining his virtuosity, inimitable style, emotional engagement and humour, charm audiences all over the world. During his career, lasting for five decades, he has performed in major concert halls in Europe, Asia, North America and Australasia. He performs and records as a solo guitarist, however, he has also collaborated with many notable musicians, representing a wide variety of styles and genres, such as Stephane Grapelli, Jeff Beck, Tommy Emmanuel, Bill Wyman, Diane Schuur, Dionne Warwick, Chet Atkins, George Harrison, Jamie Cullum and Gary Burton. Beside his signature style of playing and innovative approach towards music, Taylor is also appreciated by his fellow musicians for incorporating a rich musical heritage into his playing. Tommy Emmanuel called him „a portal into all that came before”. He has released over 100 recordings. Some of his albums have reached the Top 10 in Europe and in the USA. He has won numerous awards, among them 14 British Jazz Awards and BBC Radio 2 „Heart of Jazz” Award. In 2002 he was appointed Member of the Order of the British Empire for his „Services To Jazz Music”. Apart from touring and recording, the guitarist dedicates himself to music education through his innovative online guitar school, the Martin Taylor Guitar Academy. Martin Taylor began his musical education at the age of four. He is a self-taught guitarist. The lack of formal education allowed Taylor to develop an absolutely unique style of playing the guitar, which is often imitated by other guitarists. As a true guitar virtuoso, he was awarded two honorary doctorates from the University of The West of Scotland in 2002 and from the Royal Scottish Academy of Music and Drama in 2010. 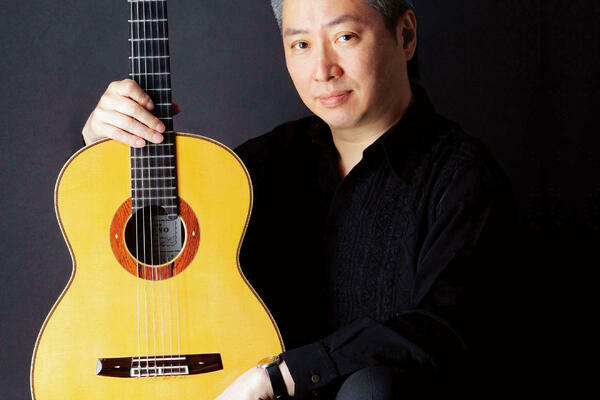 Shin-ichi Fukuda is considered one of the best Asian classical guitarists. He was born in 1955 in Osaka. With impressive number of performances, concert tours and more than 80 recordings released, he has made a brilliant international career, lasting already for over thirty years. He has given concerts in major cities of Asia, North and South America and Europe. As a leading guitarist, he has performed solo recitals, song accompaniments and chamber music as well as concertos with orchestra. His repertoire is stunningly wide and includes music from many different eras, from the Renaissance to the recent day. Well-known became his explorations of the 19th century guitar music repertoire, employing an instrument from the period. Fukuda has performed many of important guitar works for the first time in his country. He introduced to the Japanese audience pieces by such artists as Toru Takemitsu, Astor Piazzolla and Leo Brouwer. Moreover, great composers dedicated to Fukuda some of their major works, including Concerto de Requiem – In memoriam Takemitsu II by Leo Brouwer and Sonata by Sergio Assad. Besides his performing career, Shin-ichi Fukuda is also an accomplished and gifted teacher. He has trained many successful young artist, among them the Japanese guitarists Daisuke Suzuki, Kaori Muraji and Yasuji Ohagi. In 2011 Shin-ichi Fukuda was awarded the Art Encouragement Music Prize by Japanese goverment. Fukuda began his musical education at the age of eleven under Tatsuya Saitoh. Then, he moved to Paris and was taught by Alberto Ponce at the Ecole Normale de la Musique, which he graduated with the premier prix and a performer’s diploma. Afterwards, he received a scholarship at the Accademia Chigiana in Siena and continued his studies under Oscar Ghiglia. After finishing his education, he was awarded many significant prizes in guitar competitions all around the world, including 1st Prize in the 1st Carpentras International Guitar Competition, 2nd Prizein the 27th Maria Canals International Music Competition and 1st Prize at the 23rd International Guitar Competition organized by Radio France (ORTF). Since then, he has become one of the most recognisable classical guitarist in the world. Martha Masters, born in 1972 in the United States, has become one of the most appreciated classical guitarist of her generation. She performs as a solo recitalist, a soloist with orchestras as well as a chamber musician. She is known to audiences and critics all around the world. Her recent performances took place in such countries as Poland, Germany, England, Denmark, Spain, China, Paraguay, Peru, Puerto Rico, Canada, Mexico and the United States. She possesses a varied repertoire including works of such composers as J.S. Bach, Fernando Sor, Manuel Ponce and Joaquín Rodrigo. Martha Masters’ recital album, released on the label of Naxos, was sold in 10,000 copies worldwide in the first year of the release. In addition to being a celebrated performer, the artist is also an accomplished pedagogue. Martha Masters teaches at California State University Fullerton and Loyola Marymount University in Los Angeles. At Loyola Marymount University, as a professor and guitar instructor, Masters directs the LMU Guitar Ensemble and gives private instrucion. She has also published educational books, which have been acclaimed by critics. As the President of the Guitar Foundation of America (GFA), Martha Masters is strongly dedicated to promoting and supporting the guitar music and guitarists both in the United States and throughout the world. Masters studied classical guitar at the Peabody Conservatory in Baltimore, from which she received her Bachelor of Music degree as well as the Master degree. She studied there with Manuel Barrueco. Subsequently, she obtained the Doctor of Musical Arts degree at the University of Southern California under instruction of Scott Tennant. Martha Masters won many significant awards in international music competitions, among them 1st prize in the Guitar Foundation of America (GFA) International Solo Competition and 1st prize in the Andrés Segovia International Guitar Competition in Linares (Spain). She was also a finalist in the Alexandre Tansman International Competition of Musical Personalities in Lodz (Poland). Today, Martha Masters is seen as one of the brightest stars of classical guitar. Leszek Możdżer is one of the most recognisable and remarkable jazz musicians in Poland. The jazz pianist and composer has created his own unique style and music language, which distinguish him not only on the Polish scene, but also the world jazz scene. He began his career playing with Emil Kowalski’s band. Then he became a member of a yass ensemble called Miłość (Love). He played with numerous jazz ensembles, among them jazz bands of Tomasz Stańko, Buddy de Franco, Zbigniew Namysłowski, Archie Shepp, Michał Urbaniak, David Friesen, Adam Pierończyk, and Arthur Blythe. He records and performs with such famed musicians as David Gilmour, John Scofield, Naná Vasconcelos, Marcus Miller, Tan Dun, and Pat Matheny. Well-known and widely appreciated have become his collaborative projects with a prominent Polish composer Zbigniew Preisner (Requiem for my Friend, 10 easy pieces for piano). 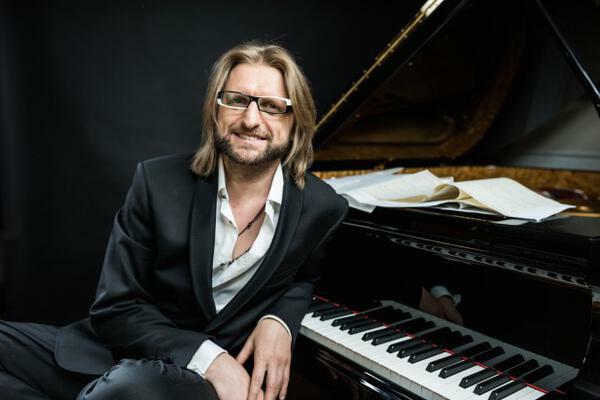 The pianist has also collaborated with another renowned composer of film music, Jan A. P. Kaczmarek (recording of the Oscar awarded sountrack for the film Finding Neverland, an album Kaczmarek by Możdżer). The artist is particularly focused on his solo projects and trio projects with Lars Danielsson and Zohar Fresco. He released more than 100 albums recorded solo or in collaboration with various artists. In addition to his performing career, Leszek Możdżer is the Art Director of the Enter Music Festival, which promotes musical individualities. Leszek Możdżer began his music education at the age of five. He received his diploma in 1996 from the Stanisław Moniuszko Academy of Music in Gdańsk. He has become interested in jazz in the last year of secondary school. He is believed to be one of the best Polish jazz musicians. Since 1994, in each consecutive year, he has been chosen the Best Jazz Pianist by the readers of Jazz Forum magazine. Marek Pasieczny, a Polish guitarist and composer, is one of the most appreciated contemporary composers of guitar music. He has won several awards in composition competitions. He has participated as a instrumentalist, composer, lecturer or a member of jury in music festivals in various countries such as Poland, Czech Republic, France, Germany, Switzerland, The UK, Greece, Turkey, Bosnia and Herzegovina, Italy, China, Japan, South Africa, Australia and New Zealand. The artist collaborated with or composed for many renowned artists, among them Pat Metheny, David Russell, Odair and Clarice Assad, Ana Vidovic, Pavel Steidl, Roland Dyens, Carlo Domeniconi, Edoardo Catemario, Gabriel Bianco, Krzysztof Pelech and Duo Melis. Premiere performances of his compositions took place in many major concert halls such as Lutoslawski’s Hall in Warsaw, Royal Albert Hall in London, Carnegie Hall in New York City, Canterbury Cathedral, He Luting Hall and He Lv Ting Hall in Shanghai. In 2012 Marek Pasieczny has been chosen one of D’Addario artists and appeared on the cover of the Classical Guitar Magazine. He was teaching composition and orchestration at The University of Surrey in Guildford. Marek Pasieczny has obtained three Master Degrees in music. For composition and performance he received diplomas with distinction from the Royal Conservatoire of Scotland. From Karol Lipinski Academy of Music in Wroclaw he received diploma with distinction for performance. In 2015 Pasieczny completed his PhD at The University of Surrey. Krzysztof Pełech is an acclaimed Polish classical guitarist. He is one of the most active musicians of his generation. He gives around 60 concerts each year. He has performed in Europe, South and North America, Asia and Africa. He also participated in numerous international music festivals. He collaborated with many renowned musicians and composers, among them Jorge Cardoso, Tommy Emmanuel, Joscho Stephan’s band and Jorge Morel, who dedicated to him one of his compositions. He has recorded for radio and television (Polskie Radio, BBC, TVP, TVP Kultura). The artist has a varied repertoire including compositions of J.S.Bach, D.Scarlatti, M.Giuliani, F.Tarrega, F.Sor, M.M.Ponce, I.Albeniz, R.Dyens, A.Tansman, A.Piazzolla, J.Morel, J.Cardoso, C.Guastavino, S.Assad, and J.Zenamon. He performs as a soloist with orchestras, as a chamber musician and he gives solo recitals. He has released 16 albums in such countries as Poland, the UK, Czech Republic, Germany and the USA. His debut album Dua Guitarinet was highly appreciated worldwide and earned him a nomination for a Fryderyk 2000 award. The guitarist was repeatedly chosen the best Polish classical guitarist by the readers of Gitara i Bas music magazine. Besides his performing career, Krzysztof Pełech is also deeply involved in promoting guitar music. He co-founded Wroclaw Guitar Society and he is the co-founder and the Artistic Director of the Guitar Masters 2016 International Competition & Festival. He is also a teacher of the guitar at the Academy of Music in Bydgoszcz, where he completed his PhD in Arts. Krzysztof Pełech began his music education at the age of twelve. In 1995 he graduated with honours from the Karol Lipiński Academy of Music in Wrocław, where he studied under Piotr Zaleski. He also studied at the Royal Northern College of Music in Manchester under instruction of Gordon Crosskey. He mastered his play with such renowned guitarists as Edmund Jurkowski, Costas Cotsiolis, Joseph Urshalmi and Roberto Aussel. Sean Samimi, born in Iran, is a classical guitarist, music production manager and artist manager. While studying at the Cleveland Institute of Music, he received the Rosalia Ablan Memorial Prize in Guitar. Though being an accomplished guitarist, Sean Samimi dedicated most of his professional life to music production and artist management. He started his first artist management company already during the studies at the Thornton School of Music (University of Southern California). Later he joined a prestigious artist agency Opus 3 Artists. In its Los Angeles office he assisted in managing many known instrumentalist and conductors, at the same time, builiding up a network of professionals from international music industry. In 2013 he has become an Artistic Administrator of the Philharmonic Society of Orange County. He was also named a Board Member and Artistic Advisor of the Laguna Beach Music Festival. His participation in the programming and production of the 2015 edition of the festival resulted in selling out the peformances for the first time in the festival’s 13-year history. In 2015, having aquired artists’ trust and confidence, Sean Samimi founded Aranjuez Artists to represent musicians nationally and globally. Apart from his professional career in the art management, he still performs several solo recitals and concerts of chamber music every year. Sean Samimi began his musical education at the age of nine. He studied playing the piano. In 2001 he moved to the United States, where he studied classical guitar at the Cleveland Institute of Music. 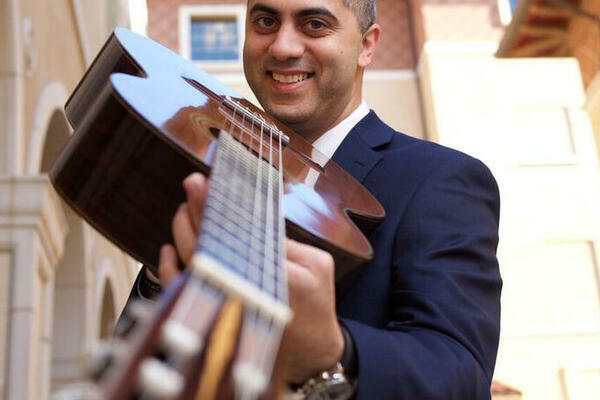 He continued his studies at the University of Southern California, where he received his diplomas in classical guitar performance and completed courses in Audio Engineering and Arts Management. Among his mentors are such artists as Scott Tennant, William Kanengiser, John Holmquist, Jason Vieaux, and Pepe Romero. 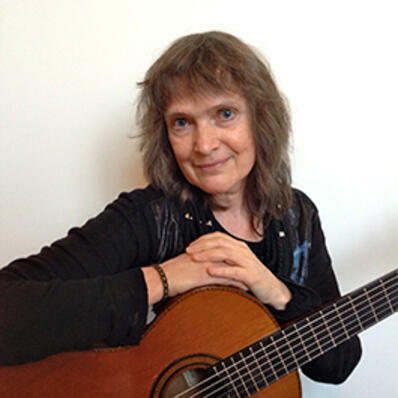 Annette Kruisbrink is a well-known Dutch classical guitarists and composer. She plays the flamenco guitar and the vihuela, in which she is self-trained. She frequently performs throughout the world. She has given concerts and master classes in such countries as The Netherlands, Belgium, Bulgaria, Denmark, Germany, Italy, Poland, Spain, Lithuania, Sweden, Switzerland, Argentina and Thailand. Annette Kruisbrink performs as a soloist as well as in ensembles. She is a member of the Trio Trobairitz and she plays in duets. As the Anido Guitarduo she plays together with the Belgian guitarist Arlette Ruelens. She also forms the duo Kruisbrink & Van Essen with the Dutch soprano Franka van Essen. 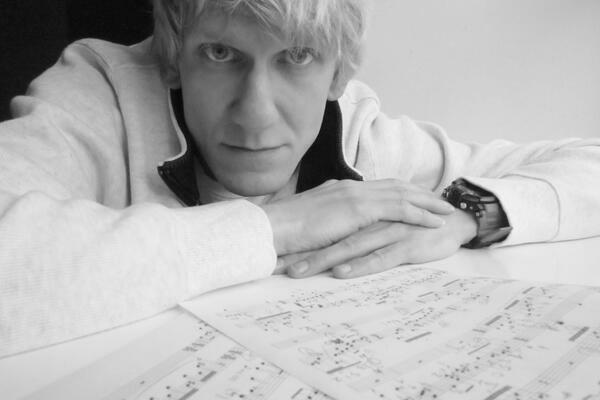 Kruisbrink is a very creative composer. She discovered her passion for composing at the young age. Since then, she has composed more than 350 pieces. Most of them are written for the guitar and the guitar in arrangement with other instruments. She has been repeatedly awarded in various international composition competitions. She released 23 albums with her works, which were published in The Netherlands, Belgium, Germany, France, Canada and the United States. She holds the positions of Director and Professor at the Anido Guitar School. Annette Kruisbrink studied the guitar under instruction of Pieter van der Staak at the conservatory in Zwolle. She also participated in master classes with such artists as Leo Brouwer, John Mills and Toyohiko Satoh. She studied composition with Alex Manassen, Nigel Osborne and Claudio Prieto. Ian Cooper is a famed Australian violinist. About 2.85 billion viewers were admiring his Tin Symphony – a piece he was commissioned to compose and perform for the 2000 Summer Olympic Games opening ceremony broadcasted worldwide. He has an exceptionally varied repertoire including classical music, jazz, tango, Gypsy, Irish, Latin, blues and country fiddle. The violinist has recorded and performed with various artists such as Tommy Emmanuel, Barry White, Andrea Bocelli, Olivia Newton-John, James Morrison, George Benson and Neil Sedaka. His incredible career is one of a wonder child. He was born in the family of classical musicians and started to learn the violin at the age of four under instruction of his mother. For the first time, he appeared on television at the age of five. By the age of six he had made his debut on the stage of Sydney Opera House. As a child star, he charmed audiences in North America and then, in Europe and Japan. In 1998 he met Tommy Emmanuel, who invited him to form a duet Guitar Boogie. The famous guitarist became Ian Cooper’s mentor for the next ten years. In 2015 the artists released together an album titled Just Passing Through. Ian Cooper began his studies at the New South Wales Conservatorium of Music, after receiving a scholarship at the age of eight. Beginning as a classical violinist, he became interested in jazz after meeting French violinist Stéphane Grappelli. 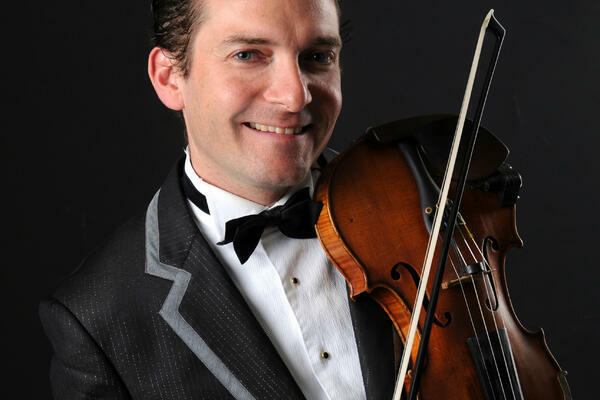 While touring, Ian Cooper performed together with local musicians, which allowed him to incorporate Gypsy and Irish music into his repertoire and become one of the most versatile violinists. Piotr Restecki is one of the most recognisable names of Polish guitar stage. This talented guitarist and composer was born in Kielce. As a finalist of the first edition of television show Must Be The Music, he became widely known among Polish audience. He co-performed with artists from Poland and abroad, among them Tommy Emmanuel, Preston Reed, Andrzej Piaseczny, Krzysztof K.A.S.A. Kasowski and Cugowski Brothers. He collaborates with ensembles representing a wide variety of genres and styles such as jazz, country, blues and rock. 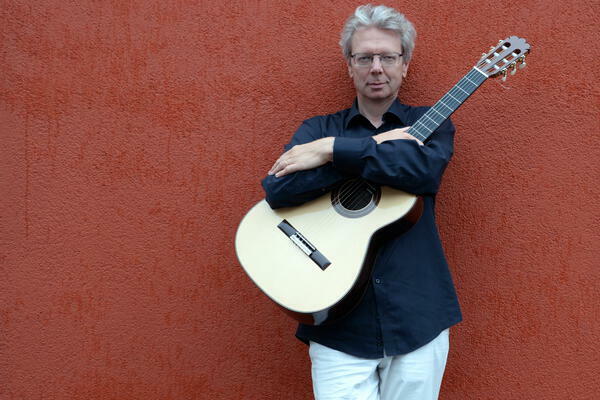 Piotr Restecki is strongly dedicated to fingerstyle both as a guitarist and a composer. His compositions and arrangements are influenced by such artists as Tommy Emmanuel, Chet Atkins, Merle Travis, but also Steve Vai, John Scofield and Miles Davis. He is highly appreciated by an audience for his outstanding playing skills and energetic performances, during which he creates extraordinary music spectacles just with the six strings of his guitar. In addition to his concert career, he also gives master classes and takes part in recordings for radio and television. He began his formal music education in Studium Gitary Klasycznej in Kielce under instruction of Jerzy Pikor. Then, he participated in master classes with such prominent guitarists as Marco Tamayo, Pavel Steidl and Thomas Müller-Pering. He is a prize-winner in many Polish and international music competitions. 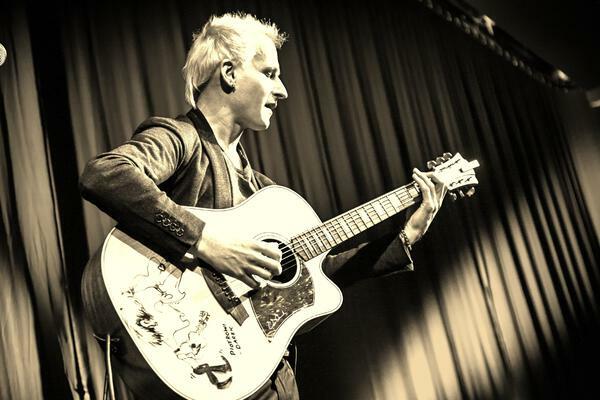 Nowadays, he is regarded as one of the best Polish acoustic guitarists. 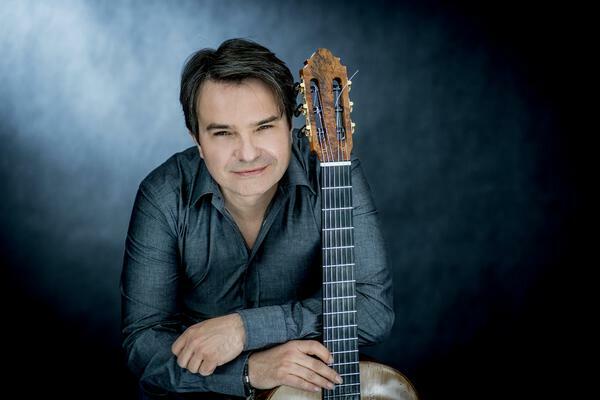 Thomas-Friedrich Kirchhoff is a celebrated classical guitarist born in Germany. He is an exceptionally active performer. Since the beginning of his career in 1986, he has given more than 2000 concerts all over the world. He has performed in Europe, Asia and in North, South and Central America. From 1989 to 1993 he played in the Ensemble Duo "Ars Vivendi" with German flautist Doris Dietz. As the Amadeus Guitar Duo, he plays together with his wife, the Canadian guitarist Dale Kavanagh. The Amadeus Guitar Duo gives more than 70 concerts per year. Their repertoire includes works written for the guitar as well as for the guitar and orchestra. Many renowned composers have dedicated their works to Thomas Kirchhoff and the Amadeus Guitar Duo. Among them are such names as Harald Genzmer, Gheorghe Zamfir, Gerald Garcia, Carlo Domeniconi, Roland Dyens, Jaime Zenamon, Christian Jost, Stephen Dodgson, Alfonso Montes, Martin Herchenröder, Toby Twining, Stepan Rak and Peter Michael Hamel. The artist has released twenty highly acclaimed albums on such labels as Hänssler Classic, FONO and NAXOS. Besides his successful concert career, Thomas-Friedrich Kirchhoff is an accomplished academic teacher and dedicated promoter of guitar music. In 1992 he founded International Guitar-Symposion Iserlohn (Germany). It is one of the most significant and prestigious classical guitar seminars in the world, with 300 participants from no less than 50 different countries. He also organised the Acadia Classical Guitar Festival in Wolfville in Canada. Since 2001, he has been teaching at the Musikhochschule Detmold in Germany. Thomas-Friedrich Kirchhoff studied at first at the Musikhochschule in Dortmund. Then, he moved to London, where, from 1986 to 1987, he studied privately under instruction of the British guitar virtuoso David Russell. Presently, he is widely appreciated for his exuberant performances and the warm and beautiful sound of his playing.